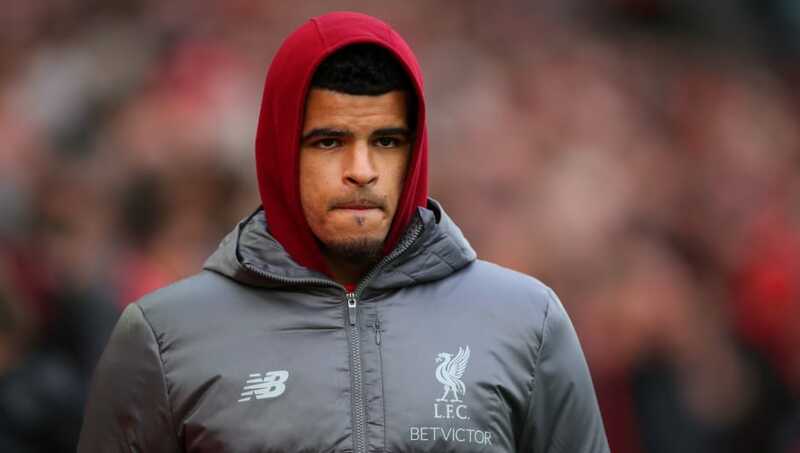 Bundesliga side VfB Stuttgart are believed to be plotting a January swoop for Liverpool's Dominic Solanke, as they look to find the goals necessary to avoid relegation into the German second tier. Solanke joined the Reds from Chelsea in 2017, after Liverpool manager Jürgen Klopp convinced the player he'd get more game time at Anfield than at Stamford Bridge. However, despite making a healthy 28 appearances for the club last season, the 21-year-old hasn't featured at all for the Merseyside club this season. According to German outlet Kicker, Bundesliga strugglers Stuttgart - perhaps having witnessed Jadon Sancho's meteoric rise at Borussia Dortmund - have identified the England intentional as an ideal candidate to lead their line for the remainder of the season. The news may well come as a concern to ​Crystal Palace, ​who were thought to be in pole position to secure a loan deal. The Eagles have also struggled for goals this season, and could see talisman Wilfried Zaha ​disappear to China in a big money move in January. With the aforementioned Sancho and Arsenal's Reiss Nelson both thriving in the ​Bundesliga, Palace boss Roy Hodgson may be concerned that Solanke will spurn his side and opt for a temporary move to Germany instead. Solanke will no doubt be desperate to reignite his career, having earned his first England cap at senior level in November 2017. Given his side's rampant form in the ​Premier League, the forward appears to be, for the time being at least, surplus to requirements at Anfield, and a loan move in January seems likely. In other news, ​Reds ace Xherdan Shaqiri has claimed that watching Tottenham Hotspur lose 3-1 to Wolverhampton boosted his side ahead of their 5-1 Premier League thrashing of Arsenal. The Swiss sensation claimed it was 'nice to see' their title rivals lose, and that it motivated them to further extend their lead at the top of the table.